The pinnacle of Research and Development Station development and more than ten times the size of the Syphon-Class Research and Development Station (R&D III), the Expedition-class R&D station (R&D IV) is capable of running more than 30 concurrent projects on the full range of possible fields, using a mixture of both 'Hot', inherently hazardous, and 'Cold' labs which permit direct hands on or remote access as necessary. As research and development sciences have become more and more advanced, new facilities have been needed to manage the higher levels of technology, and considerably larger areas have been needed to develop and test the resulting products. Earlier versions of the R&D station were much smaller and could support either smaller or fewer research projects; as such, the earlier stations often became narrowly focused upon a single or limited scope of research. 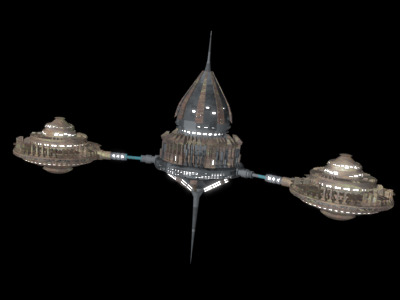 While the new stations are built much larger to house more scientists, technicians, and equipment, the labs and computer power that these newer stations contain allow them to do more with far greater degrees of efficiency. The labs are each at least five times larger than other R&D stations and the raw computing power available to the staff is easily considered superior to any single research facility available on any planet or in space. 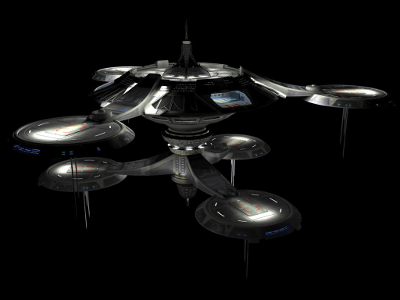 The station boasts multiple docking ports as well as hangers and docking bays which are well distributed about the station. Escape pods are located primarily on the central core where the housing, computer core, primary labs and support facilities are located, though a good number are split among the two main development wings where the remote labs and much of the actual physical activities occur under the hands of the masses of technicians and researchers responsible for turning scientific dreams into reality. Like the past three models, the R&D IV has weapons to defend its research, though the fourth rendition of the R&D station offers only slightly more protection than its predecessors, with a minimal addition of a couple of interlinked heavy laser turrets. At full capacity, the R&D IV supports a research staff of nearly seven hundred and fifty people; this does not include other staff who keep turrets ready, manage quarters, and provide meals to the researchers. This number is a large improvement over the earlier stations, making them obsolete to all but the most humble of galactic governments and companies.